Edwards traditional shaving emporium, have sold Kent brushes since we began In 2013. 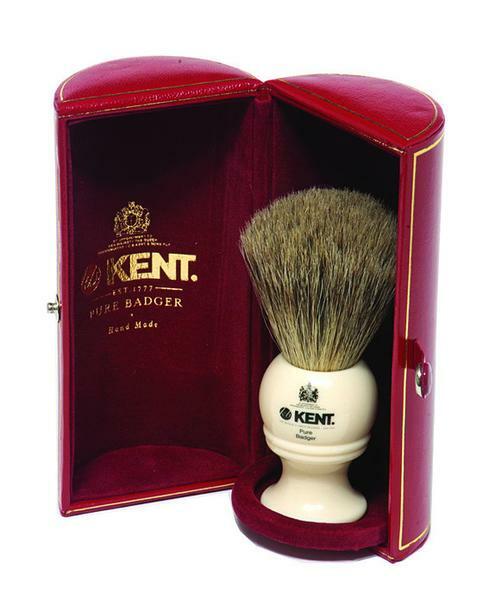 Kent have been selling traditional shaving brushes since 1777, and we hope one day to be a shaving company for as long as they have. 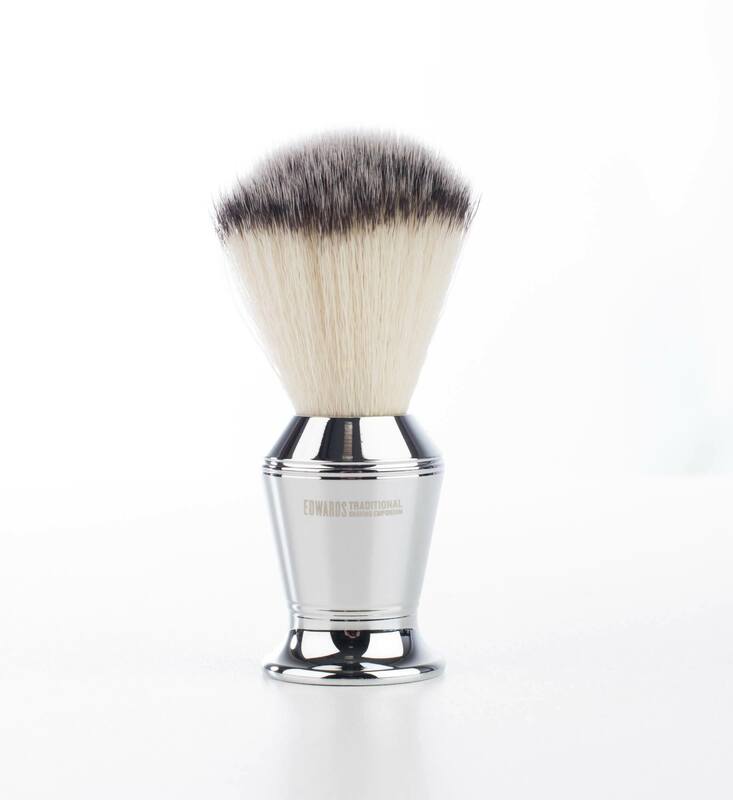 The Bk2 Kent shaving brush is a top brush. 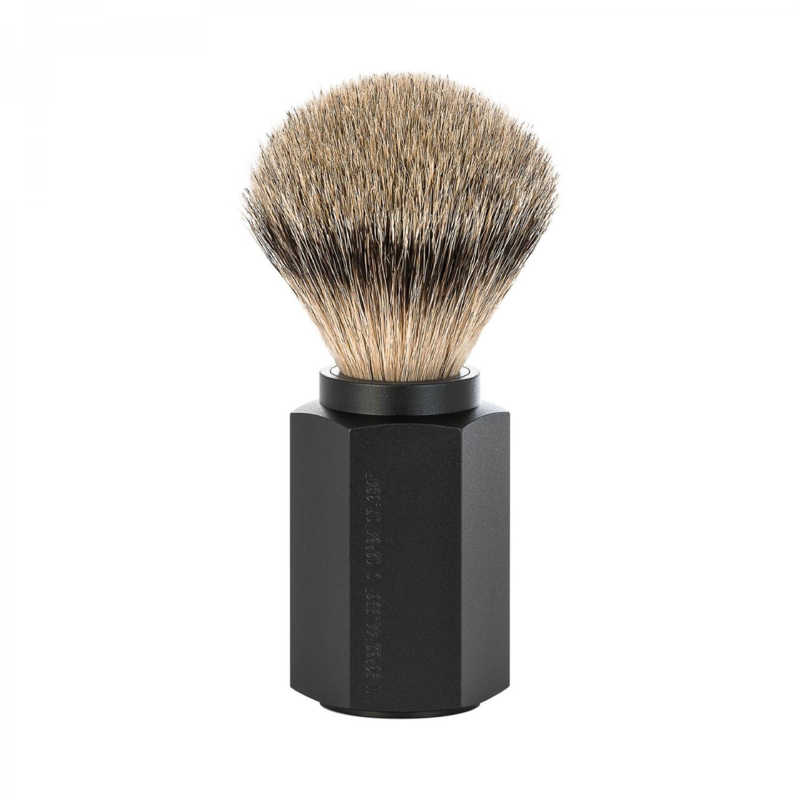 The Bk2 Kent traditional shaving brush pure badger, Is an all round great shaving brush. Some prefer pure badger as It Is a great exfoliate, and still whips a great lather up. The handle Is a high end faux white acrylic. We also love the presentation case, the oxblood leather makes kent stand apart from any other shaving brush company. It also makes the Bk2 Kent traditional shaving brush pure badger a great gift. Kent are the brush manufacturer for the royal family and therefore have the royal coat of arms on there branding. We think this says a lot about them as a company. 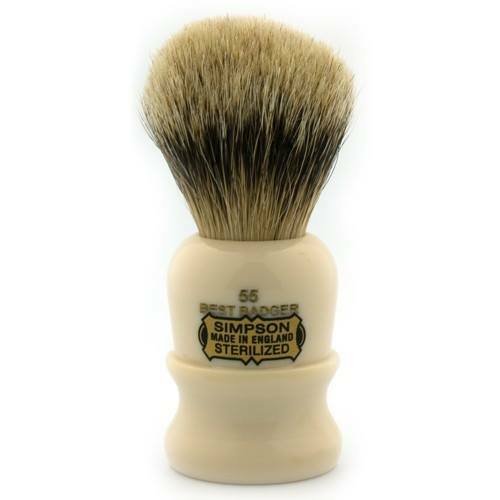 The brush stands at 102mm the bristle length and diameter Is 50mm. A good shaving brush should last 10 years, I recommend after use rinsing In cold water, shaking and leaving to dry, In an upright position. If you have any questions regarding the traditional shave please do contact us, we also have a great deal of Information on our blog about the ritualistic act.